located on the Mohawk Trail in Charlemont. It is great fun for all and your family and friends will love it. 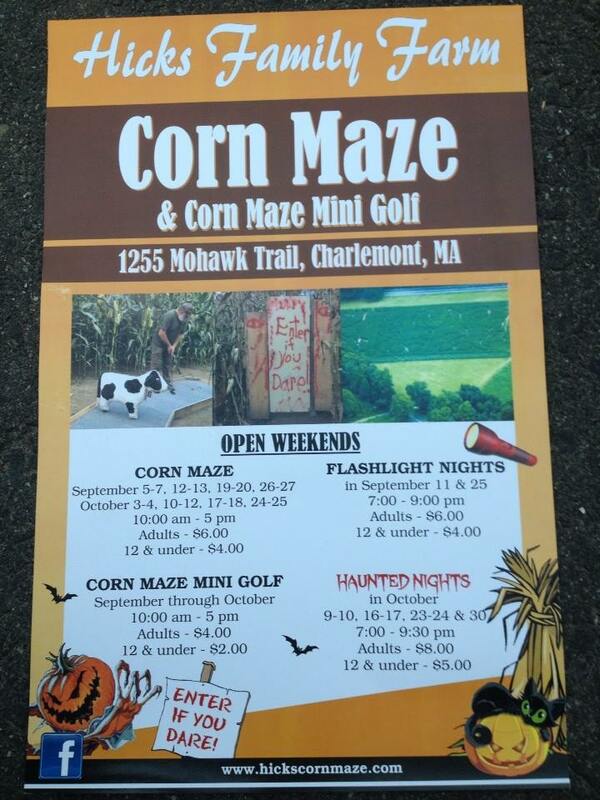 They have flashlight nights, corn maze mini gold and haunted nights in October. For more information you can visit their website at hickscornmaze.com!